This is the story of my first professional video game. The year was 1988. 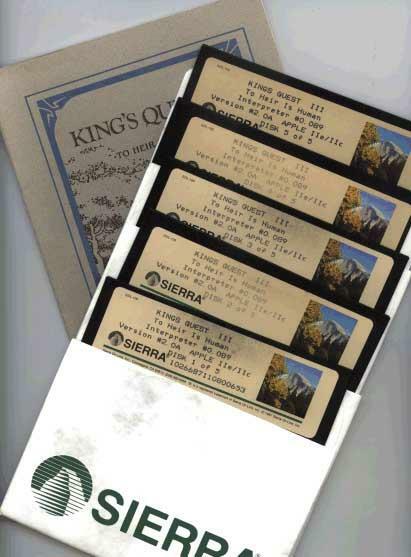 I had been working at Sierra Online for about a year. I started in the video game business in the ‘copy room,’ which was the place where we copied the game data from the master disk onto the disks that went to retail stores. Exciting stuff! But, not only did I copy the disks, but I put the labels on the as well. Pull out that old copy of King’s Quest 3, I was one of 4 or 5 people that put the label on that disk. From the copy room I went to customer service where I ran the BBS (a Galacticomm 16 modem setup no less), answering tech support questions for people. Truth be told I was actually pretty terrible at it. While running the BBS, there was a project going on that needed programming help. I had been programming for awhile taking my first programming class when I was in 3rd grade. Ken Williams and Rick Cavin, the two guys running the company, saw that I had ambition and gave me chance. My boss, I think his name was Larry or something, was not pleased because nobody would be running the BBS. Even so, as soon as Rick and Ken asked me if I wanted to help out I jumped at the chance. I was 17 at the time and thought I could change the world. My first project was Silpheed for the Tandy Color Computer 2 AND 3. The lead programmer was Daron Stinnett (super good dude) and my job was to help him out on level design and creating the artwork for the enemies. If memory serves, my entire life for the next three months was creating and entering hex codes into the Tandy CoCo 3. I was working 16 hour days and loving it. The characters were created using graph paper, adding up the hex values and entering them into the code. I had done this type of work before on my TI-99/4A and my Apple II +/e/c but had never done it professionally. Level data was much the same way. You figure out the direction you want the enemies to go and enter the values into the code. Since the games were on cartridges it was a huge pain to test out full versions. Daron and I were working side-by-side, me in my teens and he in his 20’s. A lot of nights we would be until 11 or 12 at night. During that time, Daron introduced me to a ton of cool music. I remember listening to Squeeze – Argybargy really loud! The crazy thing about this whole story is I never really realized at the time how lucky I was. First off, putting me on a somewhat important title with no experience was a pretty gutsy move. I only hope that Ken and Rick had a backup plan if I screwed it up! But the stranger thing is that I’ve never done anything in my life other than make video games. It makes me wonder if I had got a job at a gas station, would that be what I did for the rest of my life. Since that time, the budgets have grown and the problems more complex but at the end of the day it’s still a fun gig. Plus, what the hell else would I do with my life if I left video games?? This entry was posted in Uncategorized and tagged game, silpheed, story, video, video game on April 7, 2010 by Rlindsley. So, I have had an iPad for a few days now. Since there are SO many reviews on the interwebz about the iPad I thought I would take a bit of a different approach. So far I love love the iPad (even though it has a terrible name…who the heck came up with that name, sheesh! ), but in my daily usage of it there are some issues that I’ve uncovered. I have actually been using the iPad for a couple of different things. The first is a media consumption device. For this it’s terrific. News, TV Shows, movies, Netflix streaming, ABC (although I will say the show on ABC cut off halfway and I had to watch a ton of commercials to get back to where I was), it’s all good. Frankly, and I can’t explain it, but Netflix streaming blows my mind. It’s so fast and so pretty. I, and I’m not joking here, watched Iron Eagle on Saturday over Netflix! An 80’s military flying movie staring Lou Gossett Jr, what’s not to love!??!? More importantly though, I have been using it to try to be productive at work. This is where it gets a bit dicey. I use a few tools to get around at the office. The first is email. The second is Evernote. Email is terrific, it shows the email list on the left side of the screen with the full email message as if it’s the preview pane in Microsoft Office. It’s really nice. I used to have an iPhone, and the OS is really familiar to me. But let’s be honest, the iPhone mail client isn’t perfect. For example, sending a message with a weak signal is a huge pain. I also have encountered a bug a few times where the email keeps getting sent over and over but still remains in my inbox. That bug has almost got me killed a couple of times! But my bigger issue is that the keyboard simply isn’t forgiving enough. If I’m super-focused on what I’m typing it’s terrific, but the second I start to pay attention to something else (like a person talking in a meeting) my accuracy rate gets really (really) low. In other cases I’m accidentally touching the message area of the screen which moves the cursor and I start typing in different places, which is pretty frustrating. Also, I still haven’t figured out how to correct errors after the fact. This one is my fault, but if I see a misspelling, I touch it and a new word comes up. Why doesn’t touching the word bubble change the misspelled word??? I’m not sayin’, I’m just sayin’. Evernote is OK, but for some reason I’m getting a weird error that won’t let me sync. I need to figure that one out, but why couldn’t it just work?? I won’t complain too much about that. Another dealbreaker is the lack of a video conferencing camera. I had an argument, and I’m not joking here, about the camera. 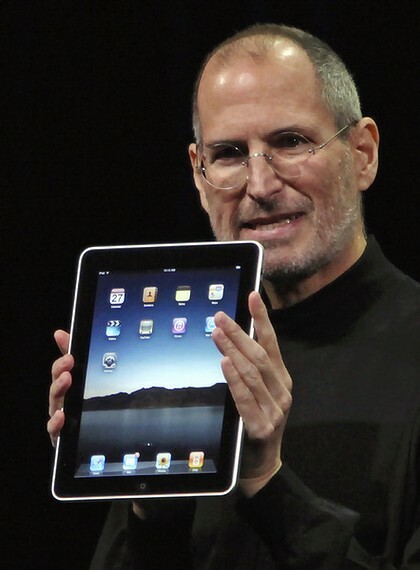 Somebody told me, ‘well, if Apple didn’t put it on the iPad, maybe we don’t need it.’ REALLY?!? Apple doesn’t give you food… do you need that? Apple doesn’t give you a car to drive to work… do you need that??? Seriously though, how hard would it have been to put a freaking video camera in this thing for Skype? That would have made it truly a device from the future. Oh well, iPad 2 I guess. My last gripe about the iPad is the lack of multitasking. I know the iPhone doesn’t have it, but you know what, it’s a phone. I personally have a Droid which has multitasking but I can understand why Apple made the decision to not allow it. Whatever. But if the iPad is going to be a netbook/laptop replacement for me then it’s going to really need multitasking. I need to be able to copy and paste text from an email into a note, or copy a picture from a website into an email. If I have to start an app each time I try to do anything then it becomes a huge pain for me (and undoable in a lot of cases). So that’s it for me. I have a few more days on this thing before I give my final recommendation on whether people should buy this or not. I will say, if you decide to jump in, get the Apple case for it. It’s brilliant. It folds out perfectly so you can type at a great angle while in meetings. Plus you can stand it up so you can watch shows while the iPad is facing you without you needing to hold it. It’s an amazing case and worth the extra money. If you have any questions about the iPad, just ask! This entry was posted in Uncategorized and tagged ipad dealbreaker evernote mail iphone keyboard on April 6, 2010 by Rlindsley. Well, i am just getting started with this whole blogging thing….a little late to the party I know. There are a couple of reasons I haven’t blogged in the past. The first reason is that I’m not a big pontificator of things. A lot of people who blog are like “let’s talk about the world and the things that are wrong with it”. While I don’t disagree with the sentiment I’m not one to go into it other than the occasional drunk conversation. The second is that it takes so much time to be entertaining. I don’t know how David Sedaris does it! Anyway here i am blogging for a little while at least. But I digress.. So I’m on Twitter today (@rlindsley) and the strangest follower started following me. iOmega. You remember these guys? They used to make the Zip drives and then followed up with the Jaz drive. Zip drives were the shizzle when I was back at Microsoft in the 90’s. They were like 100MB or something like that and people loved them. I never used them because i didn’t think they were really enough space to do anything with. See, I had a cd burner back in 91 at the office (it was the size of two refrigerators and made by Meridian Data or something like that) and in 94 on my home computer, so I never saw much need for one. After all CDs were 660MB! WOW! But where I got really excited was when they introduced Jaz drives. Those things held an entire gigabyte! That was a lot of freakin storage space. I could hold a lot of crap with that much space. If you don’t remember these, they were actually pretty hilarious little devices. The disks themselves were almost the size of a PS3 game case and when you put them in the drive had that mechanic motor sound that sucked the disk in (notice my spelling of ‘disk’). But damn if they didn’t have a lot of space! 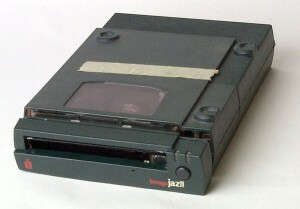 I used my Jaz drive for probably two years. They eventually came out with a 2GB version but at that point I was over it, hard drives were much higher capacity and I was already getting into the Internet, which at the time was essentially a big hard drive. Or maybe I’m getting my timing messed up. After all, I’m 38, which I think in Internet time is like 500 years old. iOmega…. Wonder what those guys are up to now…. I could look at their Twitter feed i guess. This entry was posted in Uncategorized and tagged iomega tech drive zip jaz on April 6, 2010 by Rlindsley. This is my first post on the blog, plus I’m doing it from an iPad! Nerdy? Yes. But hopefully people will be interested in some of the things I have to say. This entry was posted in Uncategorized and tagged first post Robert test on April 5, 2010 by Rlindsley.